Power Line’s newly revamped college softball recruit advising program offers softball athletes the opportunity to effectively find that school and softball combination they are seeking. As a proven college softball recruiter, Power Line Director of College Bound Services, Michele Hawkins, uses her 13 years of college softball coaching experience, and even longer playing career, to guide you through the challenging process of finding the perfect college for you. Combined with Power Line Owner, Sara Hayes’, experience, the duo have nearly 35 years of experience and professional coaching contacts to assist and advise you on your personal college recruiting journey. Receive an honest and thorough evaluation. Our evaluation process includes on offensive skill assessment with video analysis and goal setting, a defensive skill assessment with video analysis and goal setting, a complete strength and conditioning evaluation, a game evaluation of both physical abilities and the intangibles that college coaches look for – with video analysis, as well as a strategy development meeting with Power Line Owner, Sara Hayes. Power Line staff will design an evaluation that will not only assist in your college softball recruit marketing process, but that will aid in your continued softball development. Through this evaluation, Power Line will give you an idea of where in the college softball spectrum you might fit. Re-evaluation every 6 months will allow Power Line to review and possibly reassess our recommendation. Power Line has developed workshops with the college bound student-athlete in mind. Our workshops include: Understanding College Recruiting, Telephone Skills for the College Bound Athlete, and Written Communication for the College Bound Athlete. Our College Bound Athlete Members also receive the Power Line Consulting College Recruiting Manual. 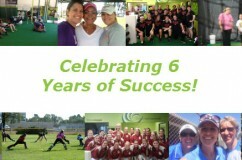 The manual is filled with information on every level of college softball opportunities, how to determine eligibility, understanding the recruiting rules, how to navigate the scholarship and financial aid process, as well as a comprehensive listing of each 4-year school sponsoring softball at each level. 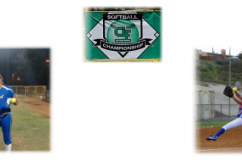 Power Line uses cutting edge technology to connect with college softball coaches during your marketing campaign. In addition to direct contact with college coaches in-person and via phone and email, Power Line distributes monthly college newsletters, online marketing profiles, and frequent picture and video posts to provide softball athletes a dynamic resource for disseminating information. As a part of our College Bound Athlete Memberships, Power Line has contracted with a service to complete your own complete college skills marketing video as well. Our program allows you to update your college marketing video every 6 months to constantly show the improvements you are making as an athlete and help to draw college coaches to come evaluate you in-person. As former college softball athletes and coaches, we know firsthand what the college softball recruiting process consists of and how you can make it more efficient and effective. Through regular individual meetings, we will be with you every step of the way through this sometimes harrowing process. By helping you learn how to narrow and clearly define your college search, design a marketing packet, write your letters, make your phone calls, and so much more, we are committed to helping you in any way we can.